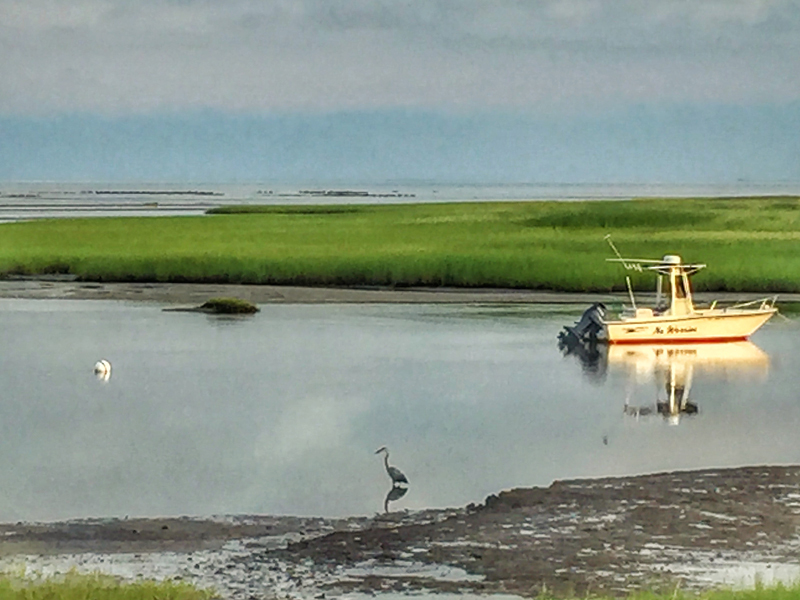 Boat Meadow Beach is always my first stop on my daily 6am bike ride. 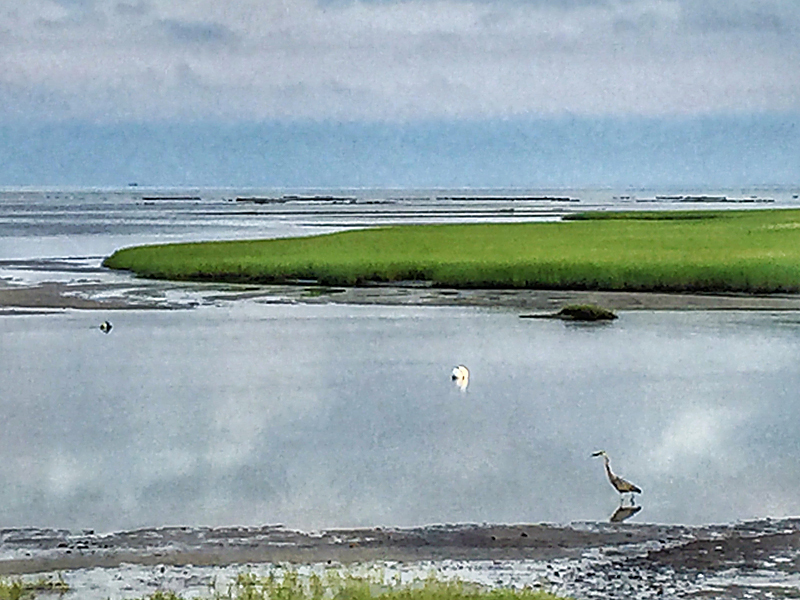 It is so beautiful and one of my favorite places after riding over the salt marsh to the beach. You never know what you are going to see. 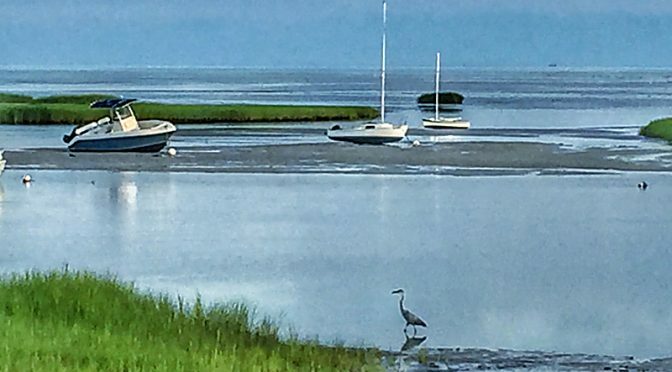 This morning I was treated to a Great Blue Heron searching for breakfast in the shallow waters at low tide. I clicked as he walked along the shore. And then I couldn’t decide which photograph I like best. 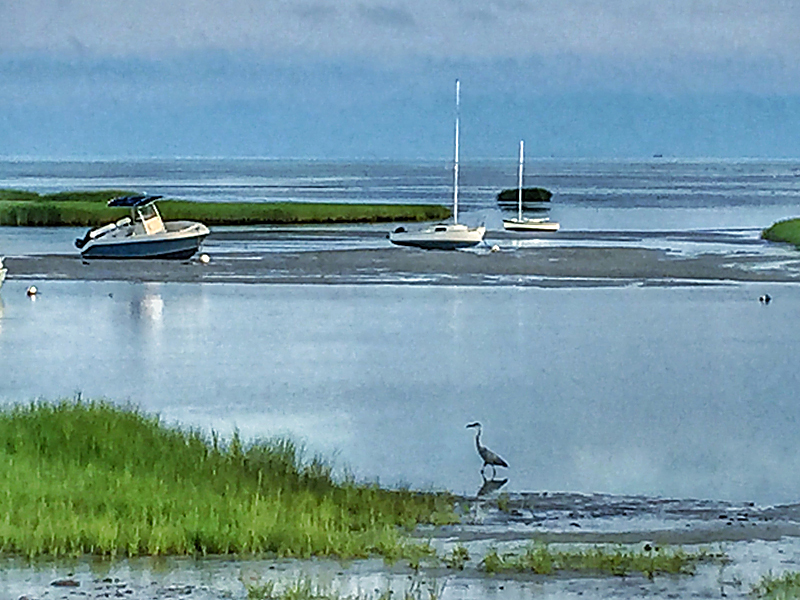 Low tide, with the boats on the sandbars and the heron looking for breakfast…there’s a lot of story there!